Kohl's is a great place to pickup some multiple gifts, whether you are shopping online or in-store. Here a look at some of my top holiday picks available at Kohl's. 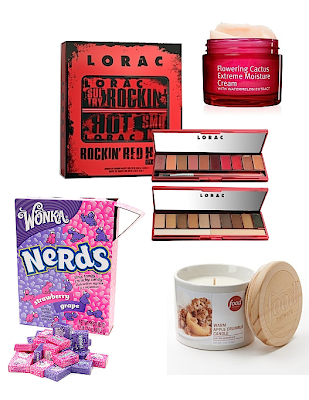 One of the best value makeup sets to help you get glammed up is the Lorac Rockin' Red Hot Eye and Lip Palette Set ($25). The smokey eye shadow palette features 10 shimmer eye shadows and 2 jumbo-size highlighters, while the sultry lip palette includes 10 lip colors and lip brush. Both palettes are also super lightweight and perfect for on-the-go. Bringing these palettes with you will alleviate having to carry a full cosmetic bag or multiple lipsticks and eye shadows. Grassroots Flowering Cactus Moisture Cream with Watermelon Extract ($35.50), is on my list of products to try. With a gel-cream formula, it's supposed to hydrate and moisturize the skin, and has an amazing scent too. Anyone who loves Nerds will appreciate the oversized box of Nerds ($19.99) the next time they have a sugar craving. There are also oversized versions of other candy, such as Pop Rocks and Fun Dip. The Food Network 7-oz. Jar Candles make an excellent gift, with delicious scents such as Red Velvet Cupcake, Sunday Morning Pancakes and White Chocolate Peppermint Bark. The Warm Apple Crumble and Pumpkin Pie candles ($8) are the only ones currently available online but you'll find a variety of scents in-store. I know a few people who have been looking for a rose gold iPhone case, so I'd recommend the Incipio feather SHINE iPhone 5 Cell Phone Case in brushed aluminum ($29.99). It also comes in several metallic colors. If you are looking for a useful gift for an iPhone 4 user, get them the PhoneSuite Elite Backup Battery iPhone 4 Cell Phone Case ($80.99). 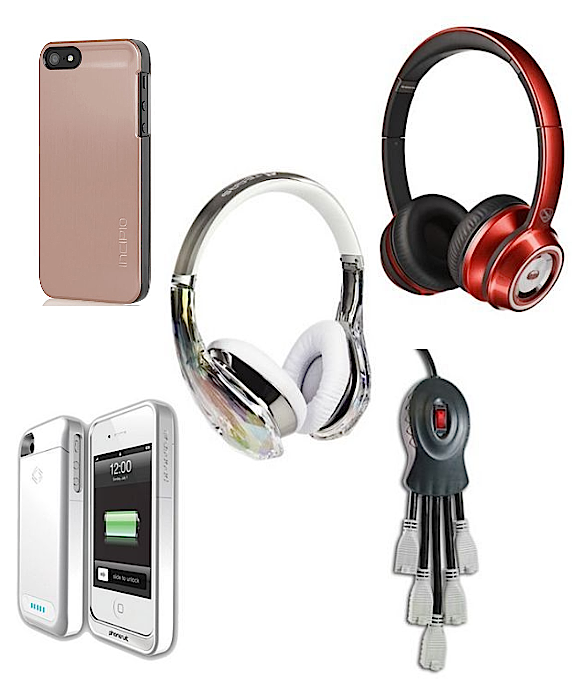 For a fashionable pair of headphones, opt for the Monster Diamond Tears Edge On-Ear Headphones (299.99) or for everyday pickup the Monster NCredible NTune On-Ear HD Headphones ($119.99) designed by Nick Cannon. Stop tripping over cords with The Sharper Image 5-Outlet Powersquid ($12.49) to organize your outlet space and keep your devices plugged in. Some of these prices I included in this post already include current discounts, but the great things about Kohl's is that there are always sales and promotions running, so you never know when you'll get an extra discount!